KA'Sandra Leer cuts the cake for the 50th anniversary celebration for Nevada Practical Nursing program Friday. 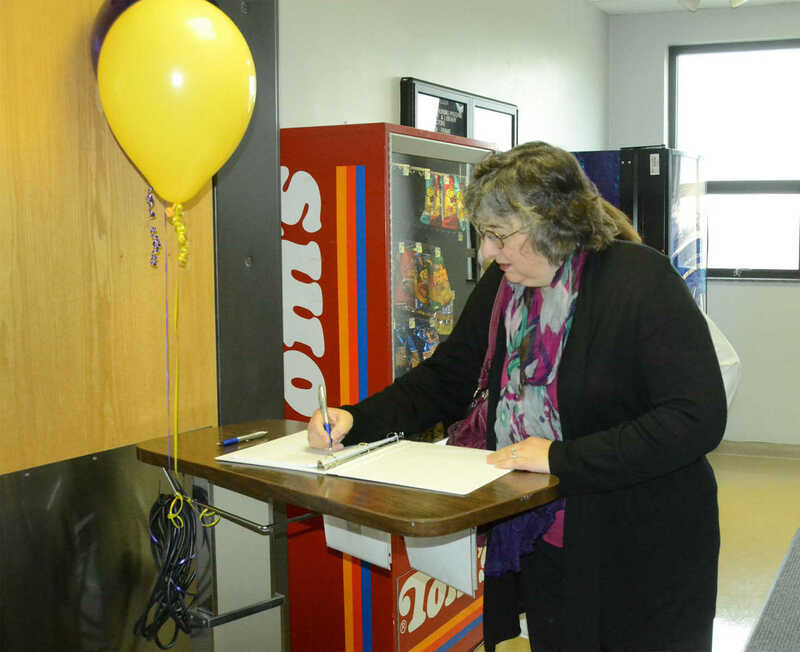 Leesa Whitson signs in for the 50th anniversary celebration of the Nevada Practical Nursing program Friday. 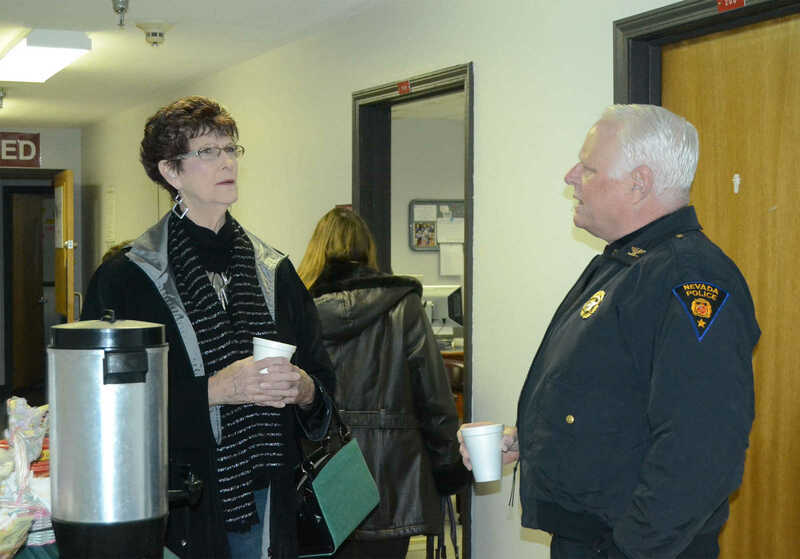 Carol Branham and Police Chief Graham Burnley chat at the 50th anniversary celebration of Nevada Practical Nursing program Friday. 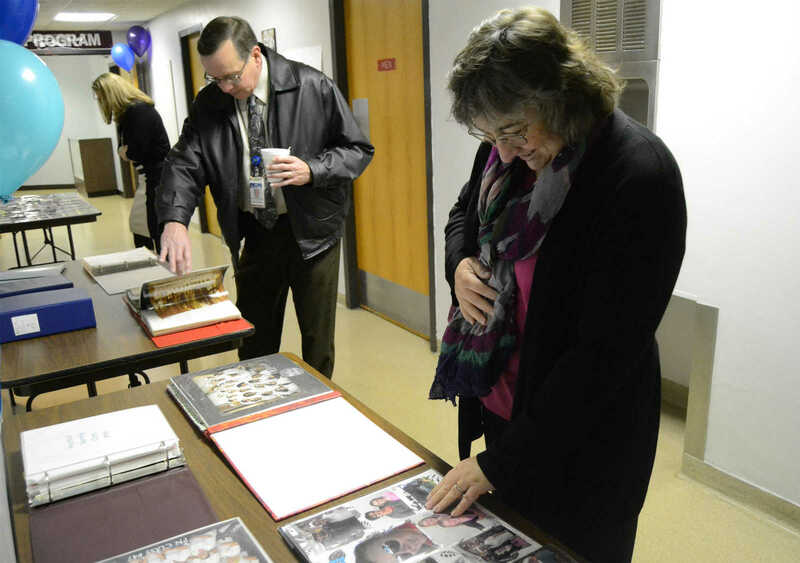 Leesa Whitson and Corey Vokoun look at graduating class photo albums at the 50th anniversary celebration for Nevada Practical Nursing program Friday. 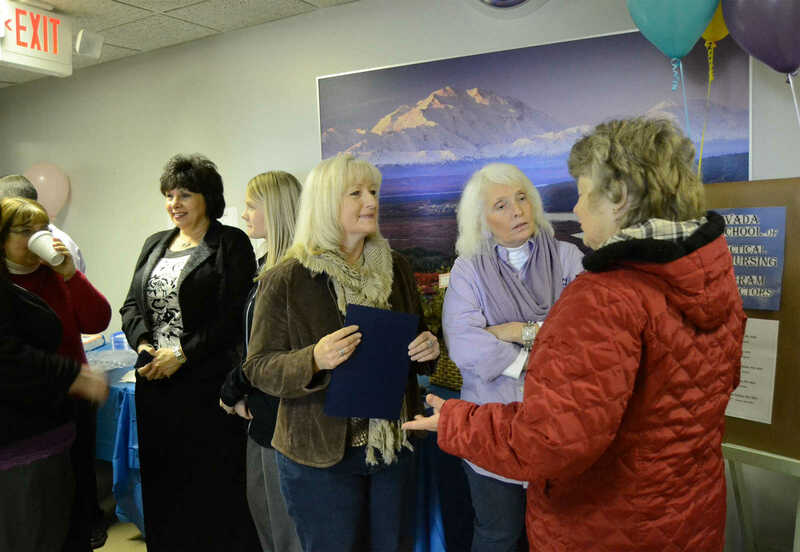 Visitors chat at the 50th anniversary celebration for Nevada Practical Nursing program Friday.